The key to a flawless complexion begins with even skin tone. But years in the sun coupled with aging and other factors can produce unwanted dark areas on our skin. Dark spots, age spots, liver spots, brown spots, black spots – no matter what you call them, no one wants them. Fortunately, Ageless Derma Anti-Aging Intensive Skin Brightener offers an effective, natural solution to diminishing dark spots quickly and safely. Formulated with scientifically proven ingredients and developed by a team of researchers, physicians, scientists, and estheticians sharing over 30 years experience, Ageless Derma Anti-Aging Intensive Skin Brightener offers natural, safe ingredients with clinically proven results.Combining six powerful ingredients producing dynamic results, Ageless Derma Anti-Aging Intensive Skin Brightener will lighten and even out your skin tone within weeks, leaving you with a healthy, youthful look. 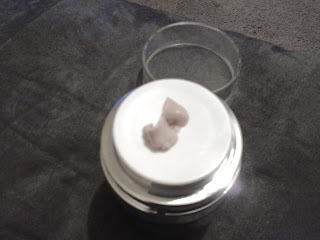 I have been using the Ageless Derma Anti-Aging Intensive Skin Brightener for close to two weeks. It is hard to tell the results of something in that amount of time. But I do like this lotion! I think it does brighten your skin, and is nice to apply to your face before make-up. I do have a few spots up near my forehead I would like get rid of. I have been applying this to it, and it may be helping. It may be to soon to tell, but I will let you know if I see some further results. The color of the lotion is a brownish color, but it does not go on your skin as a foundation or anything, it blends right into your natural skin tone. It has a thick consistency and does not have really any odor, which is good. 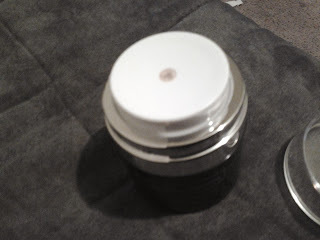 The one big thing that I really love about the skin brightener is actually the packaging. The design of this is really awesome. It comes out of an airless pump. I really like this unique airless pump! To purchase the All Natural Ageless Derma Anti-Aging Intensive Skin Brightener, Go Here. 1.0 fl. oz. ARV $49.00. It sounds like a great product, but that's a little out of my price range. I like the pump. It's expensive but I've seen a lot worse and sometimes a good product requires an investment.